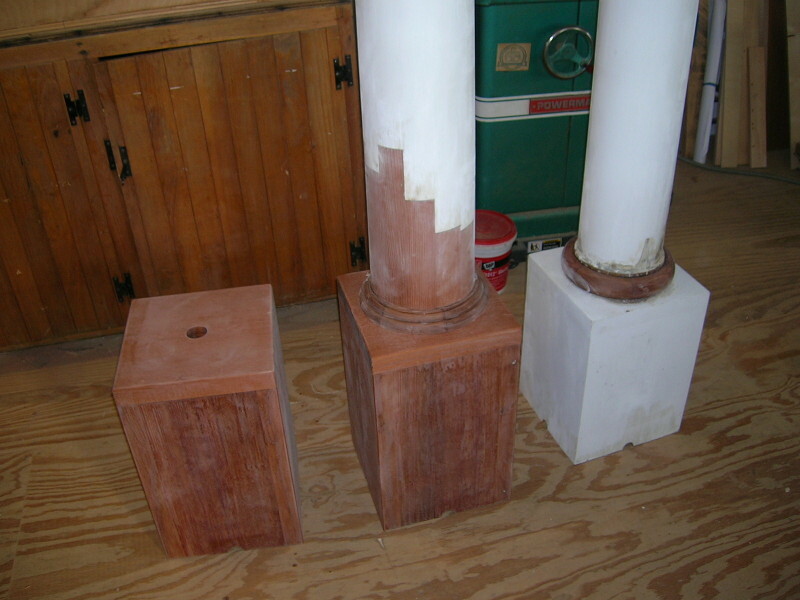 Serious rot in the bottoms of these coopered columns required extensive repairs. The repairs involved splicing in new redwood patches to the coopered areas and turning new redwood bases for each column. 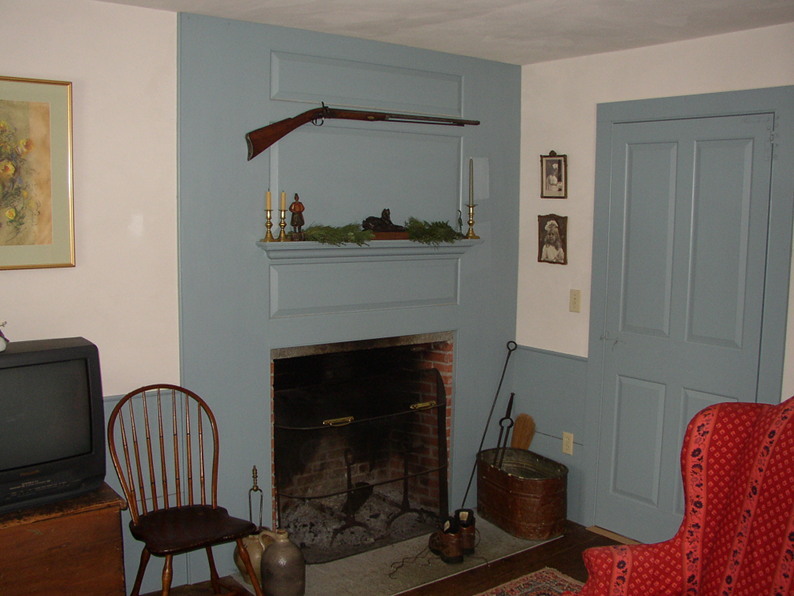 Click here to see work-in-progress photos. 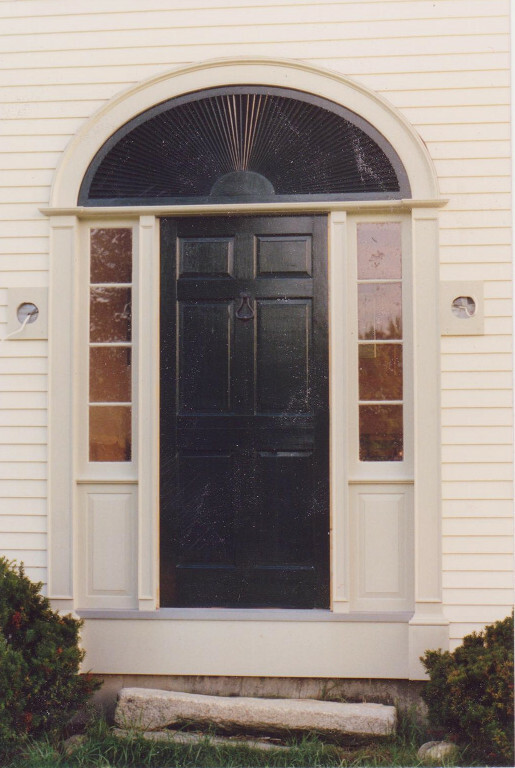 Researched from local period examples, I designed, built, and installed this doorway on a nearby house. 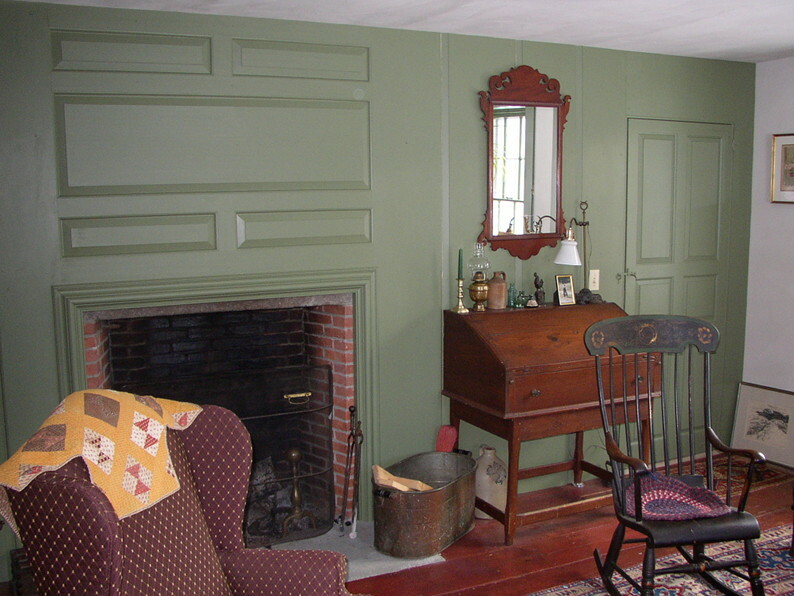 This 1780's Vermont house underwent complete restoration. 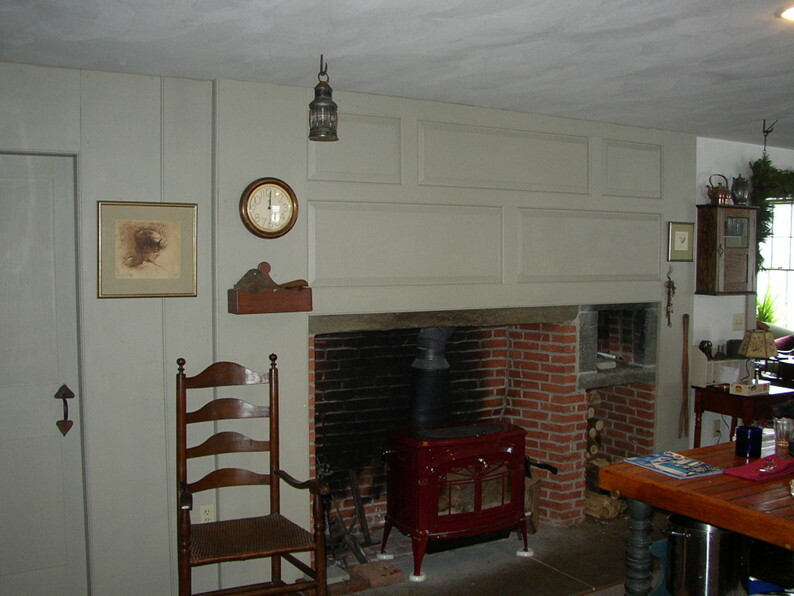 My work included recreating appropriate wall panelling in three rooms, seen in this and the following two photographs.